This topic contains 9 replies, has 4 voices, and was last updated by Michael Staley 7 months ago. I am looking for likeminded people who would like to work the magickal system of the A.’.A.’. independantly, outside the established organizational structures. Let’s form a study group (on the internet), let us learn from each other, give feedback and advice to one another, maybe test and initiate each other, or – if you have own ideas – form other, similar frameworks for spiritual nourishment on this great journey. You were already thinking about starting to work the A.’.A.’. system for some time? You just like the idea? Have you, maybe, already taken some steps and oaths on the path or have you distanced yourself from an established A.’.A.’. lineage in the past? Any A.’.A.’. adventures undertaken by a lineage, a chain, a group, or an individual will fail unless a living 8=3 is involved. Are you that 8=3 Or are you in touch with an 8=3? Or are you just screwing around because you’re lonely. Thats… very friendly? LOL. Do I sense some kind of insecurity here? Please don’t feel threatened! There’s no need for that. I’d never claim to be a member of the “temporal A.’.A.’.” – more precisely the outer college or vehicle(s) also called the Orders of the G.’.D.’. 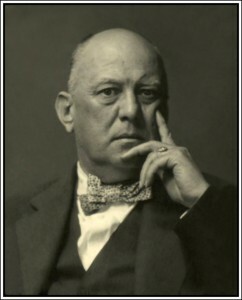 and R.’.C.’., which were founded by Aleister Crowley and G.C. Jones in service of the actual, inner and supernal Order (of the A.’.A.’.) – unless I was authorized to do so. 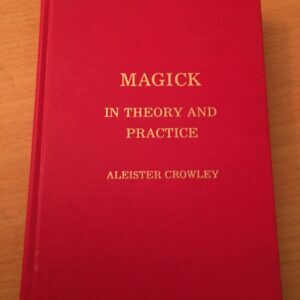 I must insist, however, that Crowley published alot of this material exactly because he wanted it to be studied and everyone finding his or her own path, doing their own will. If your solicitation was out of brotherly concerns, I thank you for it, though. The word of restriction is sin, as you know so well. Have people failed in the past? Will people fail? So what? Nuit rejoices in failiure as much as in success! 😀 And please don’t compare me to others, as everyone is unique and I’d have some new things to bring to the plate, you probably haven’t seen before. Is, in your thinking, success in truth not dependant on your will, perserverance and skill, among other things? Success is your proof. You almost sound like you believe there was some kind of curse attached to these books, which would make any such success impossible? Attached by whom? The Secret Chiefs? Some contemporary A.’.A.’. lineage? What is the source for your insights? G.M. Kelly, Frater Keallach, who claims 8=3 but is not recognized by many, strongly advices this, though. 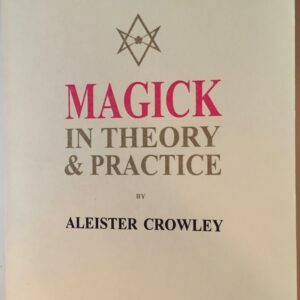 According to him, quoting Crowley, all initiation is essentially self-initiation. And in his opinion, the system can be and should be worked independantly and only ones successes and relation to the supernal Order are of relevance. Is their opinion all important? I respect everyone and especially everyone who has attained, but 1. Success is the real proof. 2. I was just in the mood to ask and performing the Great Work is part of my Will. And that is surely enough. I am my ‘Own Sun’! This reply was modified 7 months, 1 week ago by faust. Do I sense some kind of insecurity here? 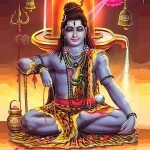 I didn’t have a sense of insecurity when reading Shiva’s post. He was just giving his opinion on your post, just as you are giving your opinion on his. People have different approaches to the A∴ A∴. Some see it as an intemporal Order, a mystical current; others as something which expresses itself as a temporal Order from time to time with various lineages. 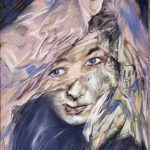 Though I am of the former view myself, I do have friends who tend to the latter view and regard the curriculum of work as beneficial; so it’s no skin off my nose, as one nosegay said to another. I have no A.’.A.’. to defend. I’m retired. I was just stating a fact. Some may think it’s an opinion. If anyone thinks any A.’.A.’. effort will fly without an 8=3, then please cite examples of any group or individual who attained liberation or enlightenment without one (one 8=3 or above). Sure, many folks have claimed the grade and the A.’.A.’. lineage, but not many are holding up too well. Many have attained to liberation or enlightenment or whatever outside of the A.’.A.’., so there’s no need to hitch a wagon to the letter A, doubled with dots, as it was strictly a Golden Dawn/Crowley invention. Well, the Soror Estai lineage started with a 1=10 (Jane Wolfe/Soror Estai), went on with a 5=6 (Phyllis Seckler/Soror Meral) and now they have at least one, if not two or more who claim to have crossed the Abyss (James Eshelman and probably David Shoemaker, even if they go seperate ways now). 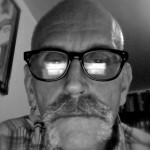 And, please correct me if I’m wrong, didn’t Phyllis Seckler write at times she had Grady McMurtry expelled from the A∴ A∴ when he was 0=0 or 1=10? I do not know whether this is true, but it has been purported. Later he claimed 9=2 and his lineage is doing quite well under J. Edward Cornelius, it seems. I consider his A∴ A∴ valid. Was Motta an 8=3 when Germer died? I consider him valid too. Was Paul Joseph Rovelli 8=3 when he departed from Ray Eales? What about famous Daniel Gunther, Outer College? Was he a Zelator already when he left Motta? Surely he was no Magister Templi. Yes, all these people have a lineage or another. But they didn’t have an 8=3. Maybe you could say Gunther, Starr, Wasserman and Gernon had a teacher in McMurtry, alright. But that depends on whether you accept that McMurtry and Gunther were at all still or again members of the A∴ A∴ after they either voluntarily left (Gunther) or got expelled (McMurtry) – if these informations (rumors) are true, that is, and consequently if this purported incidents happened “validly”. Which I do not say. I don’t know. So you understand my inclinations about avoiding some of these organizations for now. Some existing groups have a bad reputation for authoritarian, abusive actions, quasi-political power struggles, or ideological bias (no matter in which direction). Again, I’m talking about a study group and not an order. If I were to found an order, it would be without fixed leadership. Probably, the high officer roles should only be ceremonial, all their official acts only happening ‘on behalf’ and with authorization of the totality of the adepts and after a proper vote, the real power being in the hands of the adepts of a certain grade and up. Expulsion should be difficult (majority vote) or impossible. In extreme cases, there could still be balanced penalties like a time-out or temporary loss of vote. Advancements should not be considered privileges but be solely based on mystical and magickal attainments. A group that is incorporated as a legal entity, like the Caliphate OTO, should not be owned by a leader or founder or the top 1% but by all members of a certain, attainable grade and higher. This would be much more inclusive and strengthen both group coherence and the motivation of its members (improvement of group dynamics). And once more, I was not talking about forming a new order. I was talking about a simple, loose study group. Just joking. Do study groups need names? Maybe. I care about the path, the system, laid out by the Great Beast. In my perception, it is a valid, very potent system. I want to study it and maybe someone else would like to do the same or is already studying it, or is going to in the future. In which case we could learn from each others insights. What a pitty that there is no open, democratic structure already to study it in self-determination and freedom for everybody. Both approaches have their place. Ultimately, on closer examination, it could be that eventually both approaches complement each other at a higher level (what is actually transmitted within a lineage and how, by what “mechanisms”?). By the way, does the Typhonian Order have a link to the current of the OTO exclusively, or also to the A∴A∴ or to neither, establishing foremost its own? I heard Kenneth Grant was initiated into both, but the Typhonian Order and it’s workings – in my limited understanding – stands for itself. I own several published works of Kenneth Grant but I’ve not studied them in any depth so far, as I believe I’ve to work the more basic stuff first (in true rigorosity) to judge them. I must say, I come from a rather traditional background with studies in metaphysics (Platonism, Neoplatonism), interest in German mysticism (Jakob Böhme: Aurora oder die Morgenröthe; Cusanus, Angelus Silesius) as well as some previous interests in Judaistics: Chassidic Kabbalah, Agadah, Halacha and some of the things I read in Grant’s works, seemingly are rather different from these classical approaches, need time to digest… I mean that in the best sense. I’m sure the Qliphoth are connected (tunnels). Whether Sitra Achra (the oher side) should be depicted or constructed as an adverse Etz Chaim, as – if I remember correctly – already suggested by Israel Regardie, is another question altogether which I cannot answer from own experience or perception at the moment (as I said, I’m not very much concerned with these aspects yet). As you probably know, the Jews have at least two differing traditions regarding the Qliphoth. It would in both approaches likely be a matter of how you understand – or decipher – the process of seder hishtalshelus in detail (there are interesting Rabbinical texts, some – it seems to me – fitting quite well into the Hermetic and Thelemic system). Drawing the ‘Flaming Sword’ upon the Tree of Life is not an in depth study. Yes, and in the beginning (after AC’s death) they had Saturnus 8=3. Wolfe had obviously passed beyond 1=10, and Meral obviously moved on to higher planes. Don’t get me wrong, I’m not talking about a formally bestowed, or self-proclaimed 8=3. I’m speaking about someone (anyone) who can access Binah and make the right decisions based on Intuition. If somebody wants to start an “A.’.A.’. Study Group,” there’s nothing wrong with that. I’m just playing Devil’s Advocate, plus posting a warning to beginners. didn’t Phyllis Seckler write at times she had Grady McMurtry expelled from the A∴ A∴ when he was 0=0 or 1=10? Yes. You are not wrong. It was at 6months into his 0=0. Later he claimed 9=2 and his lineage is doing quite well under J. Edward Cornelius, it seems. I consider his A∴ A∴ valid. Yes. 9=2, which encompasses 8=3. Jerry took his Oath of the Abyss in front of McMurtry. He has now displayed the 9=2 emblem. Was Motta an 8=3 when Germer died? I consider him valid too. No. He was 0=0. If you consider anything he tossed out to be “valid,” that’s your problem. He was a lunatic alcoholic who claimed something that fell apart. Now it’s not necessary for anyone to be an 8=3 at the time of their mentor’s death. They could easily (or maybe the hard way) get to Binah after an interlude. I’m talking about real-time right-now when I say an 8=3 (or its equivalent) has to be in place and operative for any lineage or Order to function. Obviously, there are many lineages and Orders that started without a Magister (or its equivalent). But the somebody took the reins and claimed the grade. After that, success or disaster follows … but it make take a while. There are great dark gaps between some manifestations. Actually, it’s The Invisible Order that has No Name among Men (or Women). A.’.A.’. was hinted at in the G.D., and manifested by V.V.V.V.V. So there became an Order called A.’.A.’., which also issued a Curriculum – a very precise and detailed Course of Study. So if people want to get together and form a “Study Group,” that’s fine. Study Groups usually read and discuss things. Now if said Study group decides to do rituals, then it’s no longer a Study Group. It’s a Working Group. I have no idea how far the proped Study Group would go, so I’m just rambling and rumbling. After all, Man (and woman) has the right to Study what he/she Will. Oh Heavens … Yes. You have described many of the lineages to a “T.” (Why is it a “T?” Is it Tau, the final letter?). Do study groups need names? No. But you flashed the A.’.A.’., so it’s up for discussion. Maybe. I care about the path, the system, laid out by the Great Beast. In my perception, it is a valid, very potent system. It is the most practical system available. I want to study it and maybe someone else would like to do the same or is already studying it, or is going to in the future. In which case we could learn from each others insights. Right. There’s nothing wrong with that. I don’t hear you saying you want to “start an A.’.A.’. lineage, so the best of luck to you. (…) what about BB? The Rabbis teach, in cheder (Kindergarten) in fact, creation began with a Beth (House), as in Bereishith, not an Aleph, right? House of the Beginning! Also, BB = Black Brotherhood. I agree 100% with Shiva, all of the above. By the way, does the Typhonian Order have a link to the current of the OTO exclusively, or also to the A∴A∴ or to neither, establishing foremost its own? It really depends on what you mean by “the current of the OTO”. In my view this is not something homogenous. For instance, the Swiss OTO seem to have been different to the Crowley OTO, the McMurtry OTO, the Grant OTO., etc. Not surprisingly, the latter is the one which interests me the most, and in which I’ve worked since the mid 1970s. 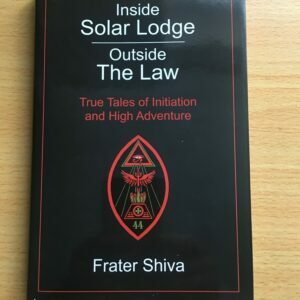 If you were to compare the Order as it presently exists with, say, OTO Inc., you might conclude that there is little resemblance since we do not use the rituals of initiation, do not work the Gnostic Mass, and do not charge fees. Yet I regard us as being descended from the OTO, and as such an expression of “the current of the OTO”, which I regard as catholic and multi-facetted rather than homogenous. Grant developed three phases of Order activity. The first was IBA, founded at the end of 1943; although he had not yet met Crowley, he had for several years immersed himself in Crowley’s work, and was already making attempts to contact both Crowley and the OTO. The second was the British Branch of the OTO, founded in 1951 on the basis of a charter from Germer. Again, I don’t think it used the rituals of initiation, nor the Gnostic Mass, nor did it charge fees. This latter point was a source of conflict with Germer, who considered it an outrage. The third was of course New Isis Lodge, which was both a dependent Lodge of the OTO and an Order in its own right. Grant devised completely new rituals for the degrees and created a system of gradework. Again, there is little resemblance here to OTO Inc. However, the IXº was still there in the latter two Order structures as a repository of the “Supreme Secret”, and I suspect was there in IBA also. So yes I think that all three had as their core “the current of the OTO”, but the expression was different. The one that interests me the most is New Isis Lodge – not because of the accounts in for instance Hecate’s Fountain, but for Grant’s conception of Nu-Isis which, the more I immerse myself in it, is something glorious and profound to be developed further.